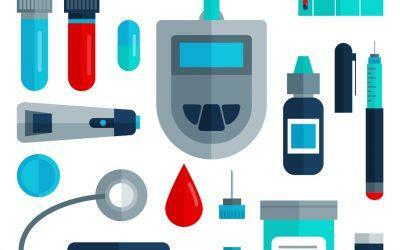 In this installment, we look at lancing devices and diabetes drugs that have recently hit the market. Motivated to help a friend with Type 2 diabetes, bioengineer Christopher Jacobs, PhD, developed a new lancing device, called Genteel, to reduce the pain of pricking fingertips. “I was moved by his distress, compelled by our friendship, and undone by the irresistible siren song that lies at the heart of every engineering challenge,” said Jacobs. For 10 years, Jacobs studied the limitations of current devices and the interconnection between blood capillaries and pain nerves. What’s unique about the Genteel device is the lancet only reaches blood capillaries and avoids hitting the deeper pain nerves altogether. It’s the first FDA-cleared product that draws enough blood from not only the fingers, but other body sites. The Genteel was approved by the FDA as the first Class II lancing device. In one patient survey, more than 82% noted that they experienced an improvement in satisfaction with their blood drawing experience. The FDA approved two combination products that contain long-acting insulin and glucagon-like peptide 1 (GLP-1) receptor agonists, a hormone that helps normalize blood glucose levels. The products include Xultophy from Novo Nordisk and Soliqua from Sanofi. Xultophy combines the long-acting insulin degludec (Tresiba) with liraglutide (Victoza); Soliqua combines long-acting insulin glargine (Lantus) plus lixisenatide (Adlyxin). Both products, which are available as once-daily injections, are part of a new class of diabetes treatments that combine a basal insulin and GLP-1 receptor agonists. “I am excited for this new class of type 2 diabetes medication that can offer patients another treatment option to help them reach their goals,” said John Buse, MD, director of the Diabetes Center, University of North Carolina School of Medicine, Chapel Hill, North Carolina. Jardiance (empagliflozin) is back in the news again, this time for becoming the first diabetes drug approved to reduce the risk of cardiovascular death. Developed by Boehringer Ingelheim, Jardiance was approved in 2014 as an adjunct to diet and exercise to improve blood glucose levels in adults with Type 2 diabetes. This new approval is based on data from a large study that showed the medication significantly reduced the risk of cardiovascular death, non-fatal heart attack or non-fatal stroke by 14% versus placebo. This primary finding was driven by a significant 38% reduction in the risk of cardiovascular death.